This is the info on the V twin engine I have that eventually will be used in a project, the engine is made by Rotax and even though superseded by Aprilla with a V4 engine it is still being produced and fitted to trikes and quads in the US. For 1998 to 2003 Gen 1 it had 2 spark plugs per cylinder, 4 coils so 1 coil per spark plug and sequential firing, it is not CDI fired but normal induction sparks despite the use of some CDI type sensors. 2004 onwards Gen 2 is single spark plug and a different ECU and sensors so I have not covered this later type. At 90 pages its a long read as it covers more than the ignition but I have attached it for completeness as if Secu3 were to be modified to cover the ignition then the next step would be fuel injection, just read pages 27 to 30 inclusive for the ignition system but be wary of errors eg it talks about cam sensors twice but one must be a crank sensor, it says the second cam sensor sends 12 signals per 360 degrees at 60 degrees intervals which is nonsense, looking at the engine this must be the crank sensor and there are only 6 trigger points on the alternator flywheel, at least the 60 degrees is correct. Sure this should have read 12 signals per 720 degrees at 60 degree intervals to relate to the single signal per 720 from the camshaft sensor. A summary from looking at the engine itself. As a complete bike the engine ignition and fuelling is controlled by an ECU which has mapping tables for timing and fuelling. It has addition sensors giving coolant temps, throttle position, MAP etc. On the front cylinder there is a single sensor which is triggered at TDC every 720 crank degrees by a single projection on a camshaft wheel. On the alternator flywheel mounted on crank there are 6 projections on the OD, five are short and one is longer, a second single CDI type sensor looks for these projections. The long projection seems to be positioned to tell the ECU of TDC on the rear cylinder, cannot be sure until I reassemble the engine. If this is correct the ECU uses the flywheel sensor to tell it when the rear cylinder is at TDC on both strokes using the long projection, the short projections give 60 degree internals for rpm, and the single camshaft sensor tells the ECU TDC on the front cylinder on the firing stroke only. 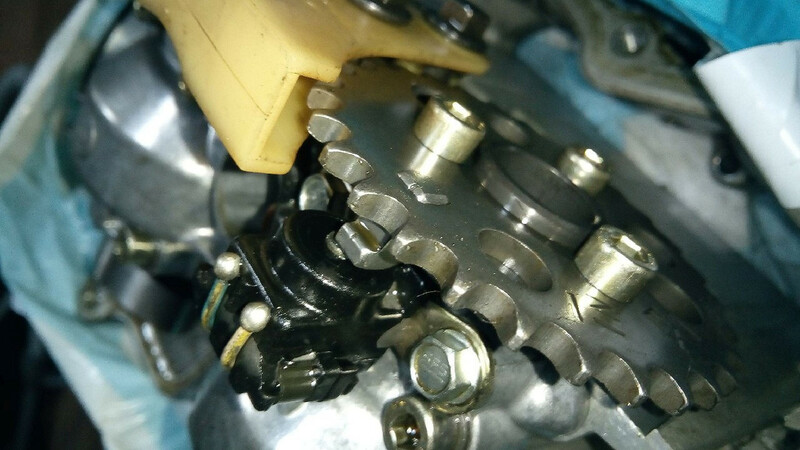 My current thinking would be to use the camshaft sensor only and use the future planned firmware for sequential firing using a single camshaft mounted toothed wheel with missing teeth for firing points next to the current camshaft chain sprocket and removing the current single projection which is pressed in. This would make the flywheel sensor and projections redundant. Thank you for information. It will be useful when I will start to implement support of V-twin (odd-fire) engines. Reading the data on the ECU fault codes reveals some interesting info. A failure of the crank sensor will cause the engine to stop immediately due to no spark. A failure of the camshaft sensor will not stop a running engine but will stop it restarting if stopped. So the camshaft sensor must be used as a ref to set the firing stroke but once read it then is not needed until the engine stops and the ECU loses the ref point. I don't know that sort of engine and its ecu. What is the ecu maker? It's too complicated for me. There is the camshaft sensor, I think it's used for the ignition only,there is a sort of ignition module and the cam sensor seems linked to that module.It makes the ignition sequential. Maybe there is only an output for the ignition from the ecu so they add that module. There are pieces of mistake about trigger wheels on that manual, the drawing is different from the picture of your engine. They wrote the outline during the development of the bike and continued to make changes before the final production version, the changes are missed from the outline. 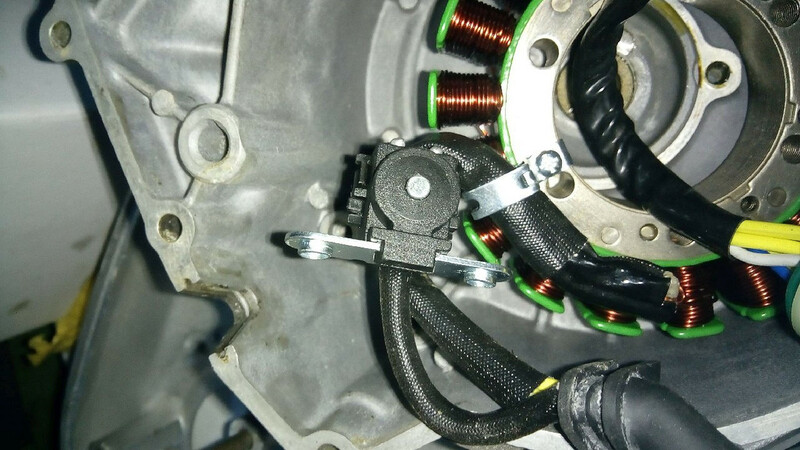 The cam wheel sensor only tells the ECU during the starting phase which cylinder is which, after a signal is received and the ECU has identified the cylinders no more signals from that sensor are needed until the engine stops. When the engine stops the memory is cleared and when the engine needs to be restarted it waits for the cam wheel sensor signal. SAAB used the same process on their 2 litre engines used in the 9000 series and other models in the same era, they can take a few turns to start as the ECU waits for cylinder 1 to be identified before starting to fire the plugs, all depends on where the engine stopped in the cycle. There is no makers name on the ECU but I will open it up and have a look at the chips. SECU-3T unit has 6 independent ignition channels, by desire this number can be increased to 8 (if you remap in the SECU-3 Manager other free outputs to 7 and 8 ignition channels). Moreover, cam sensor is necessary when using SECU-3 with two knock sensors on the V-type engine (e.g. V-8). Below table shows order of ignition channels firing, so take it into account when connecting coil/spark plugs according to firing order of your engine. Which got me thinking and comparing a multi cylinder engine to a V Twin. If you look at a 90 degree V twin this is an 8 cylinder engine with the cylinders firing one per 90 degrees minus 6 cylinders. So if you set up a Secu 3T for 8 cylinders but only used IGN_OUT1 and IGN_OUT5 to feed igniters and coils then these are the 2 cylinders on a Ducati, you can ignore the rest other than maybe 3 and 7 for wasted spark. For a 60 degree V twin this is a 12 cylinder engine with the cylinders firing one per 60 degrees minus 10 cylinders. 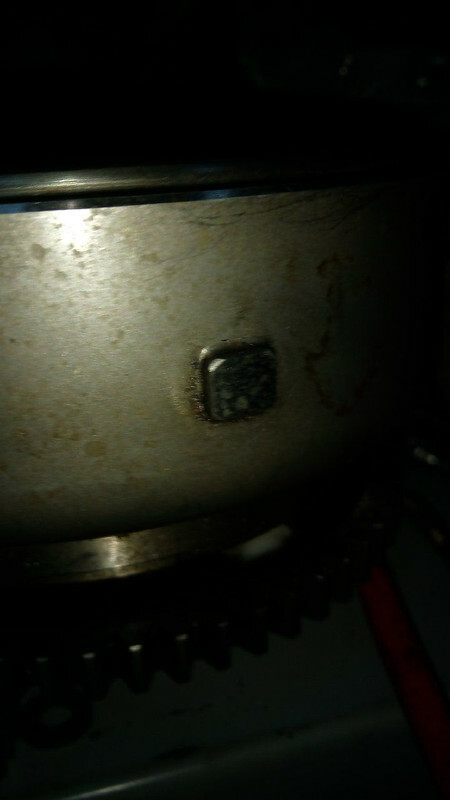 So if you set up a Secu 3T for 12 cylinders but only used IGN_OUT1 and IGN_OUT7 to feed ignitors and coils then these are the 2 cylinders on an Aprilia, as before you ignore the rest other than 5 and 9 for wasted spark. For a 45 degree V twin that is a 16 cylinder engine and you are looking for ING_OUT1 and ING_OUT9 etc. 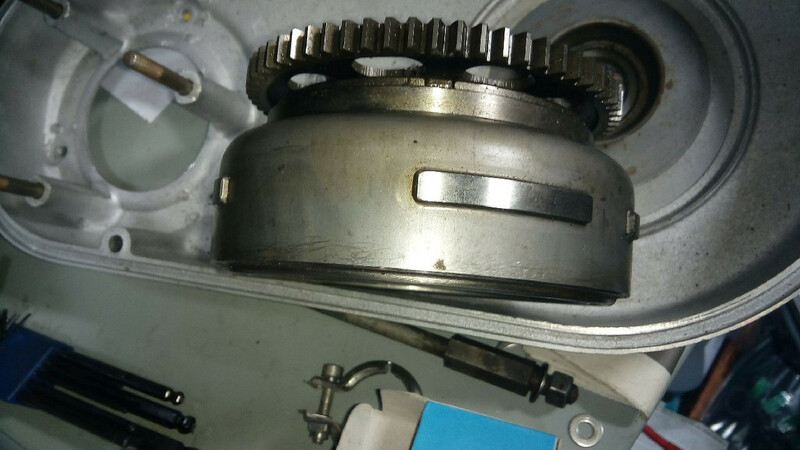 You would not identify 8 12 and 16 cylinder engines in the firmware but V2 90, V2 60 and V2 45 in the list of number of cylinders for engine, you would also need a cam sensor for Cylinder 1 and a crank wheel to make it work. Nippodenso ECU, code no.265470 is possible but not 100%.